A man who cruelly left his dogs to starve in an empty house received only 45 days of house arrest, a punishment that certainly does not fit such a horrific crime. Christopher Preston, of Cumberland, Maryland, a 29-year-old corrections officer, moved out of his home last summer and left his 12 dogs locked inside with no food or water. Only three dogs survived. Animal control, responding to multiple calls from concerned neighbors, found the bodies of nine dogs who had starved when it opened up the empty home in August, the Cumberland-Times News reports. The three survivors were malnourished, dehydrated and anemic, and were rushed to the Allegheny County Animal Shelter for care. 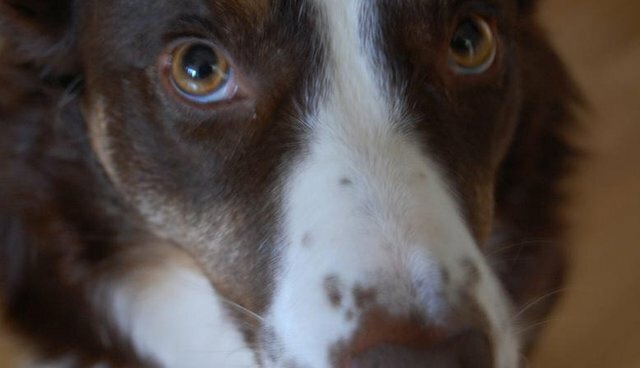 For letting his dogs perish slowly in an empty house during the hottest months of the year, Preston could have received 15 months in prison and a $5,000 fine. But instead, after his lawyers argued Tuesday that Preston would lose his job if he served any jail time, the judge sentenced him to a mere 45-day house arrest. Thankfully there's a bright spot in this tragic story: The three dogs rescued from this terrible situation have since found happy, caring forever families. "They've all been adopted - they're all in great homes doing wonderful," Allegheny County Animal Shelter director Tina Rafferty told The Dodo, adding that they're getting "spoiled" by their new families. In addition to the house detention, Preston will have to pay for the medical care that those three dogs required last summer, and he "will not be allowed to have pets immediately and during the duration of his probation," the Cumberland-Times News reports. Light sentences for abusers only serve to create a sentiment that crimes against animals are equivalent with other misdemeanors. The sad reality is that nine dogs lost their lives because of their owners' horrific actions, and their abuser could be a dog owner again in a matter of months. If you witness animal cruelty, please don't hesitate to report it; there may be lives at stake.